Susan Repetti, a partner in the firm’s Trusts and Estates Department, was a speaker at the Boston Bar Association’s Trusts & Estates Section Mid-Year Review on December 13. The Trusts and Estates Section Mid-Year Review covers recent federal and state case law, legislation and tax law matters. This year’s Mid-Year review touched on federal tax cases, Massachusetts case law, and legislative updates. 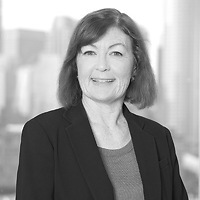 Susan presented on 2012 gift planning, the estate tax impact of the Windsor decision on DOMA, retirement planning and avoiding the generation-skipping transfer tax.